"'Not a rocker. Not an electronic artist. A sensual, a feeling person. No copy-art. In these times of senseless struggles for sovereignty at the musicians' regular table, Suchy is the cowboy with the Indian's face.' This is what one of Germany's biggest daily newspapers recently wrote about Joseph Suchy, 'Cologne's very own professor of guitar research'. They got it spot on. In the global improv & avant garde community, the born Franconian is no unknown person. He collaborated with artists like David Grubbs, Ekkehard Ehlers, Niobe and FX Randomiz; he is a permanent member of Burnt Friedmann's Nub Dub Players; and he was one of the founders of Cologne-based cult-improv-label Grob. 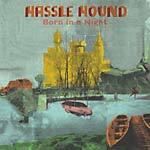 The musical sensitivity of this slightly odd artist in his mid-forties is hard to match. 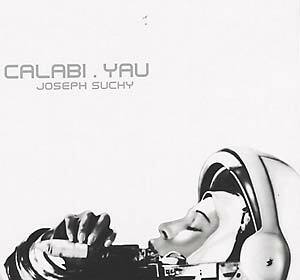 calabi.yau is Suchy's new solo-outing. It's a music of delicate sounds, in which acoustic guitars and electro-acoustic signals are woven into non-linear, fragile sound sculptures. At times, this music borders on sensory deception (what is this sound? Electric or acoustic? ); it is an illustrated broadsheet of a strange, yet familiar reality. Suchy cunningly and imperturbably evades the categorizations of contemporary modern music: What he does is giving his listeners a carte blanche to dream. Or, as the artist himself puts it: 'Music in search of the freakwave'."